This immaculate custom-built home located in the gated Marsh Cove neighborhood of Fiddler's Creek offers everything you could want for luxurious Naples living. 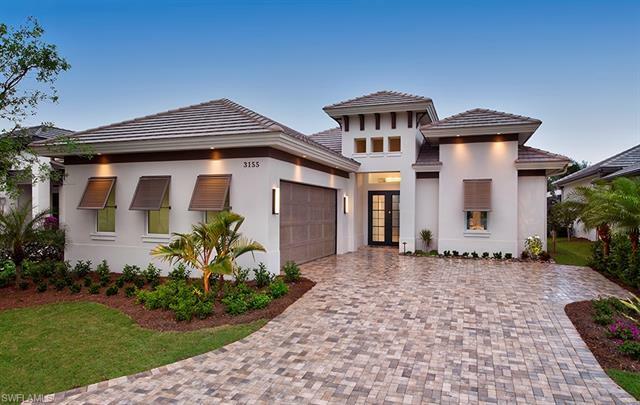 This Villa Adriana II model by Harbourside Custom homes boasts 3 bedrooms plus a den, 3.5 baths, a gorgeously detailed kitchen with Thermador appliances, an over sized island, and an open living floor plan perfect for entertaining. This stunning home has been furnished by Clive Daniel and has beautiful finishes throughout. The living area opens up to a gorgeous lanai with a natural gas heated fireplace and outdoor kitchen, as well as a heated saltwater pool. The lanai features a roll-down hurricane screen in lieu of impact sliding doors and shutters for the mitered glass window. Fiddler's Creek offers an array of resort style amenities including a state-of-the-art gym and full spa, resort style pools, six Har-Tru tennis courts, two restaurants, and a variety of year-round social activities. Residents of Fiddler's Creek may also join The Golf Club featuring an 18-hole Arthur Hills championship golf course. Also available is the Tarpon Club membership which features private beach access, resort privileges, and marina access. Courtesy of Marquise Property Sales, Llc.